Sequencing and separation of arriving IFR aircraft is the primary responsibility of radar approach control. Tower will receive all arriving IFR aircraft clearly sequenced and separated all the way down to the landing runway, and only need to monitor the arrivals to ensure separation is maintained. CATEGORY I - small aircraft weighing 12,500 lbs. or less, with a single propeller driven engine, and all helicopters. CATEGORY II - small aircraft weighing 12,500 lbs. Or less, with propeller driven twin-engines. CATEGORY III - all other aircraft. a. Separate an arriving aircraft from another aircraft using the same runway by ensuring that the arriving aircraft does not cross the landing threshold until one of the following conditions exists or unless authorized in FAAO 7110.65 section 3-10-10, Altitude Restricted Low Approach (discussed later in this topic). 1. The other aircraft has landed and is clear of the runway. (a) When a Category I aircraft is landing behind a Category I or II- 3,000 feet. (b) When a Category II aircraft is landing behind a Category I or II- 4,500 feet. 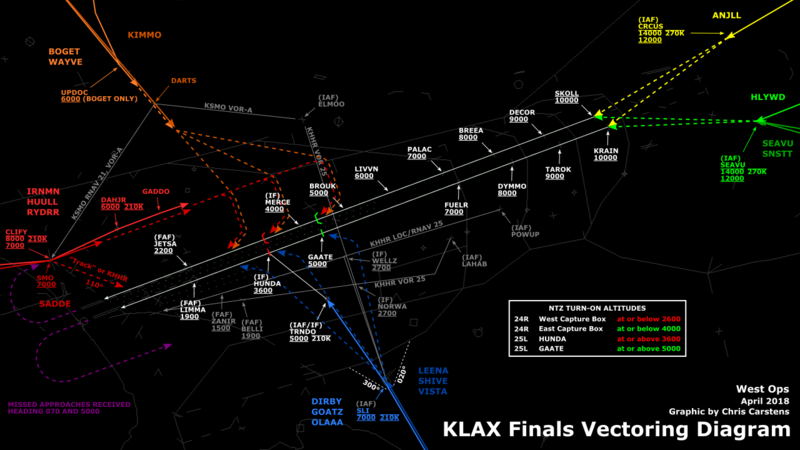 On VATSIM, it is most efficient to use runway intersections as landmark references. The approximate distance from the beginning of a runway to a particular intersection can be estimated using a standard airport diagram and some quick math. 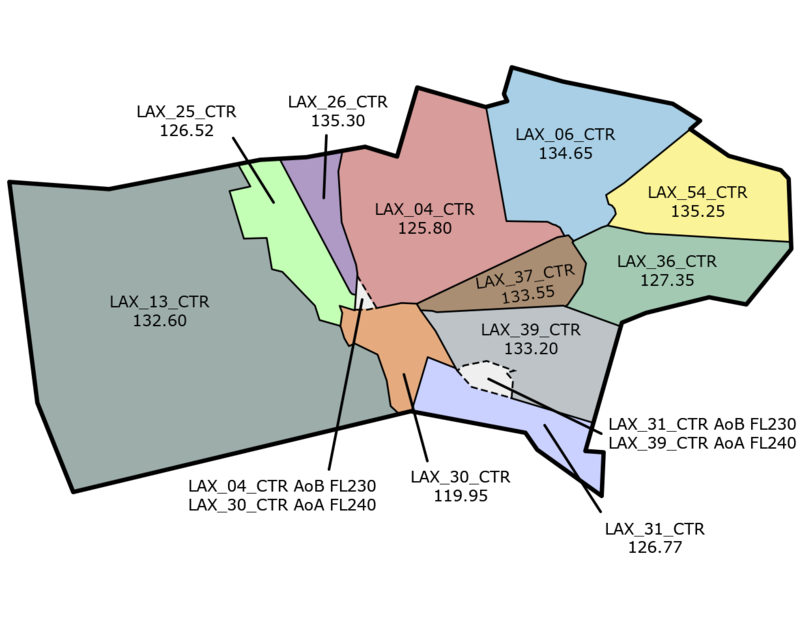 For example, the runway 25L at LAX is about 11,000 ft long. Half the runway is 5,500 ft, and is around Hotel-6 taxiway. Thus, you can estimated that 4,500 feet down the runway is around Hotel-4, and 3,000 feet down the runway is around Golf. 2. The other aircraft has departed and crossed the runway end. (a) Category I aircraft landing behind Category I or II- 3,000 feet. (b) Category II aircraft landing behind Category I or II- 4,500 feet. (c) When either is a category III aircraft- 6,000 feet. 3. When the succeeding aircraft is a helicopter, visual separation may be applied in lieu of using distance minima. 1. The heavy jet/B757 to aircraft landing behind a departing/arriving heavy jet/B757 on the same or parallel runways separated by less than 2,500 feet. 2. The large aircraft to a small aircraft landing behind a departing/arriving large aircraft on the same or parallel runways separated by less than 2,500 feet. 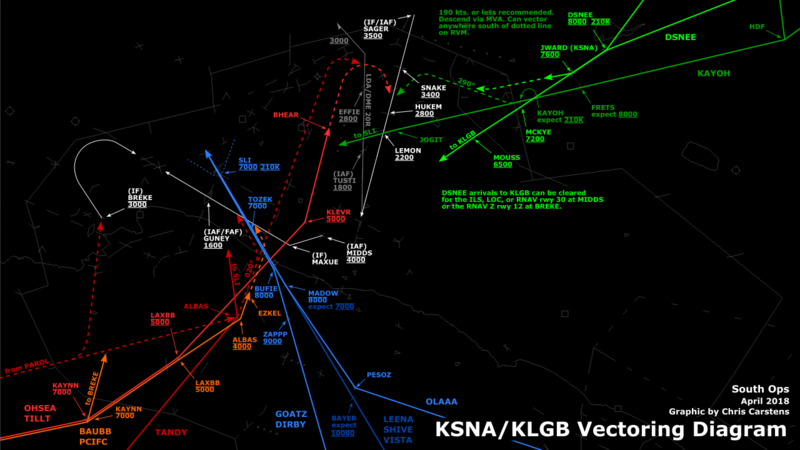 Issue traffic information to each aircraft operating on intersecting runways. 1. The preceding aircraft has departed and passed the intersection/flight path or is airborne and turning to avert any conflict. 2. A preceding arriving aircraft is clear of the landing runway, completed landing roll and will hold short of the intersection/flight path, or has passed the intersection/flight path. When visual separation is being applied by the tower, appropriate control instructions and traffic advisories must be issued to ensure go around or missed approaches avert any conflict with the flight path of traffic on the other runway. b. USA/USAF/USN NOT APPLICABLE. An aircraft may be authorized to takeoff from one runway while another aircraft lands simultaneously on an intersecting runway or an aircraft lands on one runway while another aircraft lands simultaneously on an intersecting runway, or an aircraft lands to hold short of an intersecting taxiway. The procedure is only available when a LAHSO point is published on the airport diagram (depicted as a thin line crossing the runway and a LAHSO comment with an arrow pointing at this line; e.g., runway 15 at KBUR has a LAHSO point just south of the intersection Delta.) The main purpose of LAHSO procedures is to expedite the arrival/departure rate of the airport, which would otherwise require greater spacing between the intersecting runways’ arrivals and unnecessary delays for departing aircraft. Application of these procedures does not relieve controllers from the responsibility of providing other appropriate separation contained in the FAAO 7110.65. 1. A simultaneous takeoff and landing operation shall only be conducted in VFR conditions. 2. Instruct the landing aircraft to hold short of the intersecting runway being used by the aircraft taking off. In the case of simultaneous landings and no operational benefit is lost, restrict the aircraft of the lesser weight category (if known). LAHSO clearances shall only be issued to aircraft that are listed in the current LAHSO directive, whose Available Landing Distance (ALD) does not exceed the landing distance requirement for the runway condition. How do you determine a particular aircraft’s required LAHSO distance? Let’s use the Burbank airport (BUR) and Twin Beech 18 (BE18) as an example. First, use the FAAO 7360.1 to lookup the aircraft’s LAHSO group (alternatively, you can use a different source that provides the same info.) The 7360.1 shows that BE18 belongs to the LAHSO group 4. Now that we know the BE18’s LAHSO group, we need to determine its required LAHSO landing distance. 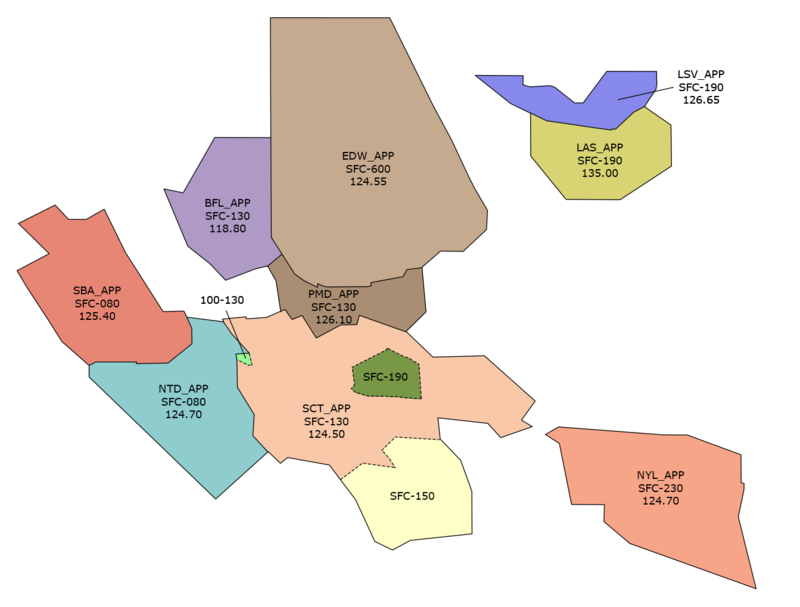 Scroll up to the beginning of the Appendix A, table A-1 “Land and Hold Short Operations (LAHSO) Aircraft Group/Distance Minima.” Note that the required landing distance is also affected by the airport elevation, because at higher altitudes, aircraft will travel greater distances after touchdown before coming to a stop. The airport evelation in our example is 778’ MSL, so we’ll look under the column “Sea Level -999.” This column crosses the Group 4 at the box that reads “4000,” which is the required landing distance for BE18 at our airport’s evelation. The last step is to compare the required landing distance of the aircraft with the available runway length to the LAHSO point. Obviously, the required landing distance must not exceed the available runway length in order to authorize the LAHSO procedure. You can look-up the distances to the LAHSO points for any airport in their chart supplement. Find Burbank's and look at the Supplement. The Airport/Facility Directory shows that the distance available (DIST AVBL) to the LAHSO point of rwy 15 is 4250 feet. The required landing distance of BE18 is 4000 feet, so rwy 15 has enough available distance to authorize a LAHSO for BE18. HOLD SHORT OF RUNWAY (runway number), (traffic, type aircraft or other information). Pilots who prefer to use the full length of the runway or a runway different from that specified are expected to advise ATC prior to landing. 3. Issue traffic information to both aircraft involved and obtain an acknowledgment from each. Request a read back of hold short instructions when they are not received from the pilot of the restricted aircraft. 4. Issue the measured distance from the landing threshold to the hold short point rounded “down” to the nearest 50-foot increment if requested by either aircraft. 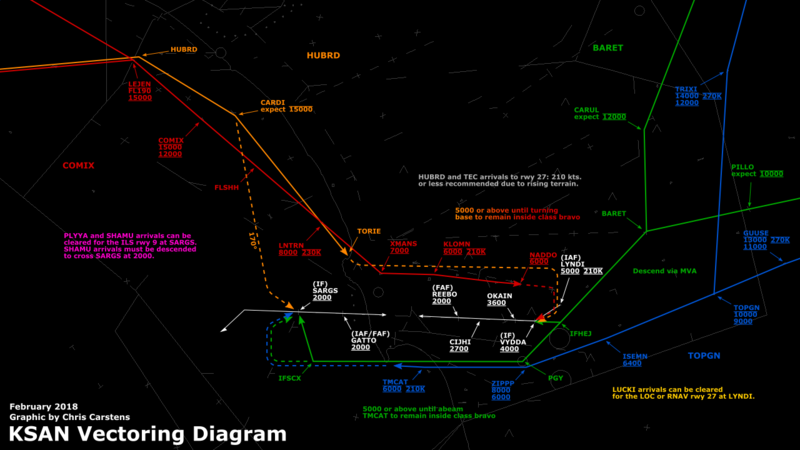 On VATSIM, you may use a ruler and the airport diagram to calculate the exact distances to LAHSO points. 5. The conditions in subparas b2, 3, and 4 shall be met in sufficient time for the pilots to take other action, if desired, and no later than the time landing clearance is issued. 6. Land and Hold Short runways must be free of any contamination, with no reports that braking action is less than good. 7. There is no tailwind for the landing aircraft restricted to hold short of the intersection. The wind may be described as “calm” when appropriate. 8. You calculate that the aircraft required landing distances are appropriate for the available LAHSO runway length. 9. You may issue LAHSO to a Short-Takeoff-and-Landing (STOL) aircraft if the pilot confirms that it is a STOL aircraft. a. Separate IFR/VFR aircraft landing behind a departing heavy jet/B757 on a crossing runway if the arrival will fly through the airborne path of the departure- 2 minutes or the appropriate radar separation minima. 1. All aircraft landing on a crossing runway behind a departing super or heavy, or a small aircraft landing on a crossing runway behind a departing B757, if the arrival flight path will cross the takeoff path behind the departing aircraft rotation point. 2. VFR aircraft landing on a crossing runway behind an arriving super or heavy, and VFR small aircraft landing on a crossing runway behind a B757, if the arrival flight paths will cross.